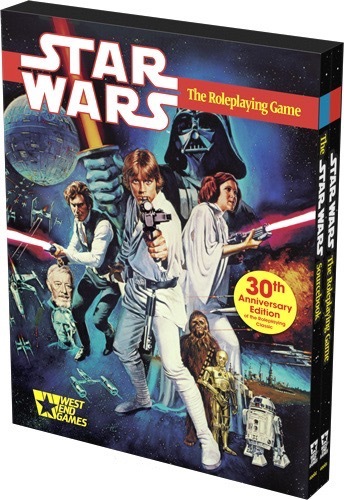 The Star Wars: The Roleplaying Game 30th Anniversary Edition is a faithful, limited edition recreation of both Star Wars: The Roleplaying Game and The Star Wars Sourcebook, both printed with higher quality and packaged in a stylized slipcase. Every bit as playable now as it was in 1987, Star Wars: The Roleplaying Game offers fast d6-based action along with unique takes on the ideas of roleplaying, designing adventures, running adventures, and the nature of the Force. This is relevant to my... HOLY COW! Now, if only they will re-print the Saga Edition sourcebook "Knights of the Old Republic Campaign Guide"! I bought that one (and all the others) as they were released, but I never used it because the campaign I ran was set during the Clone Wars . . . I sure love me some Saga Edition. I also still have mine! Along with a HUGE shelf of WEG sourcebooks. Any news on when Paizo will be shipping these? 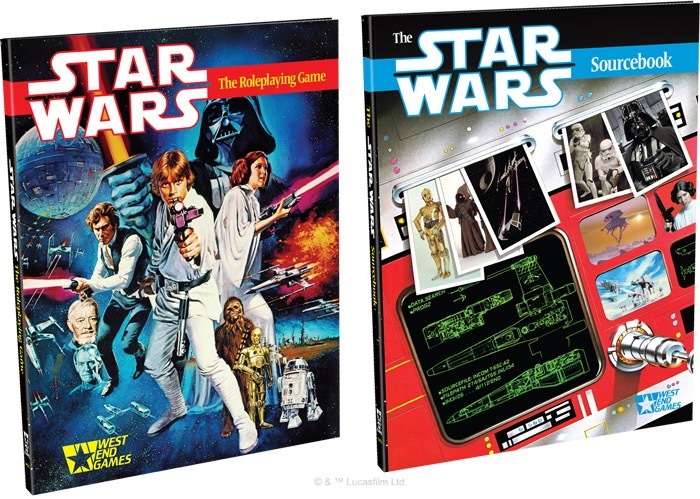 My FLGS in Australia is saying them have them, but I pre-ordered them here.